B&S 500 Series Engine - Expertly powering Cobra Cultivators - The 500 series engine family provides the best-in-class performance in its category. It incorporates the latest engine design technologies ensuring optimal torque and efficiency, resulting in lower emissions. The 500 series powers Cobra petrol garden cultivators. 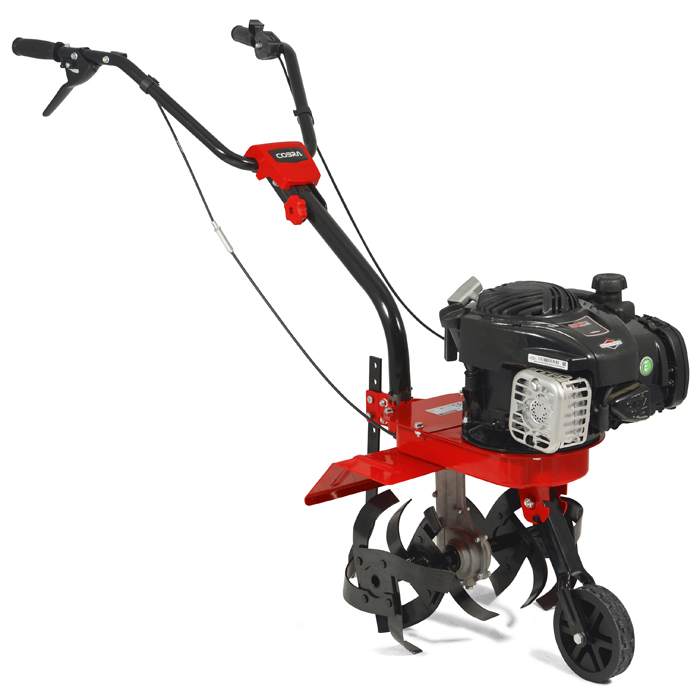 Cultivate your garden with the T40B from Cobra - Great for a variety of gardening situations - The T40B Cultivator from Cobra is an extremely versatile tiller, great for a variety of gardening situations. With a 16" working width and 4 high quality steel tines, the T40B can cultivate up to a 250mm depth and performs equally well in both soft and compacted soil. The front transport wheel is invaluable when taking your cultivator to and from the job in hand. Ergonomically positioned operator controls - Cobra puts the power in your hands - The Cobra T40B petrol cultivator has been designed to make cultivating your garden a simple and effortless task. The ergonomically positioned controls not only make operator use more comfortable, but more importantly, make using Cobra cultivators as safe as possible.